The 2016 introduction of the Early Career Teacher Award to the annual Docemus Awards reflects Cairns Catholic Education’s focus on recruiting and supporting graduate teachers. This award recognises teachers who demonstrate outstanding performance and instructional skills during the first three years of their teaching. Catholic schools in the Cairns Diocese have many talented and dedicated teachers who are new to their career and eligible to be recognised at a higher level with the introduction of this new award category. The Docemus Awards are an integral part of Catholic Education in the Diocese of Cairns and were introduced in 2002. The awards acknowledge and celebrate exceptional commitment, achievement and contribution to Catholic Education. Traditionally, the Awards have been given for six categories: Primary Teacher, Secondary Teacher, Leadership, School Officer, Volunteer and Life Long Contribution. including the school leadership team, staff, students and families. The Docemus Awards are presented in Week 3 of Term 3 every year, during Catholic Education Week celebrations. 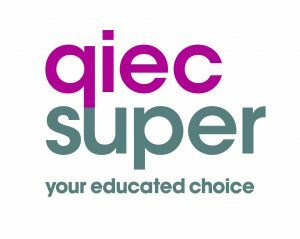 The Early Career Teacher Award is sponsored by QIEC Super.